Fortnite Cross Platform War & Who Really Deserves the Blame? | Nerd Much? In the perpetual war between Microsoft and Sony, shots have once more been fired. Since time began, fans of both platforms have been advocating for cross-platform play. Now Fortnite, currently the most popular of all of the battle royale games, provides a new battlefield for our cross-platform hopes to die on. 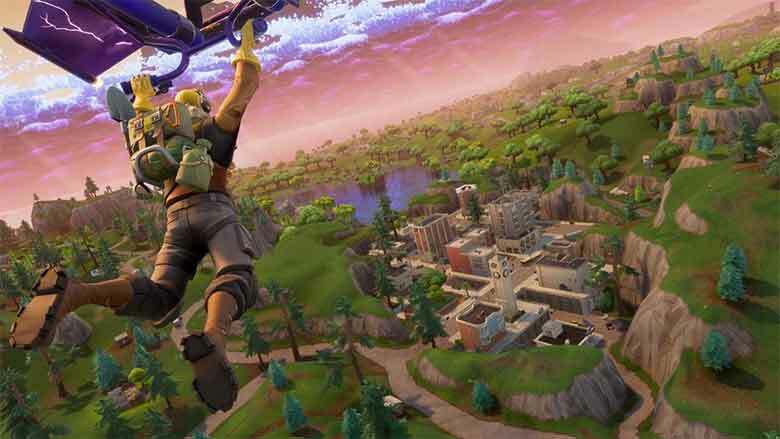 With its latest update, Fortnite expanded to iOS and it now allows cross platform play between Xbox One, PC, and iOS users. The PS4, similarly,will allow its users to compete against players on PC and iOS. But PS4 users and Xbox One users will not be able to play Fortnite cross platform, and according to Microsoft, it’s all Sony’s fault. This finger-pointing is not old news. In the past, when popular games like Minecraft and Rocket League were heading towards cross-platform play, Microsoft and Sony could not come to terms to allow for players on both consoles to play together. In both of those cases, players could compete across other platforms just not between Xbox One and PS4. Xbox boss Phil Spencer claims to “feel your pain” when it comes to the lack of cross-platform opportunities between PS4 and Xbox One — further projecting the blame on Sony for the Cold War-esque freeze that exists between the two behemoth gaming platforms. The main argument against cross play usually comes down to one thing: fair competition. For me, personally, I want no business playing Fortnite on my PS4 against someone with a high-end gaming PC and a mouse for higher accuracy (Fortnite update 3.3 gives the option to cross platform or not, phew). But I feel that competition would be fair between consoles. The consoles currently are very similar in processing power, frame rates and control style, with no real clear advantage ruining competition for a user of one platform over the other. This was not always the case, the predecessors to the Xbox One and PS4, the Xbox 360 and the Playstation 3, had not necessarily significant but measurable differences in RAM, GPU, hard drives, control style and not to mention very few titles that could potentially have cross play — the infrastructure simply wasn’t there yet. At the moment, Microsoft is pushing the narrative that it is Sony and only Sony that is preventing us from reuniting with our friends and family on the other side of the DMZ that exists between Xbox One and PS4 gamers. 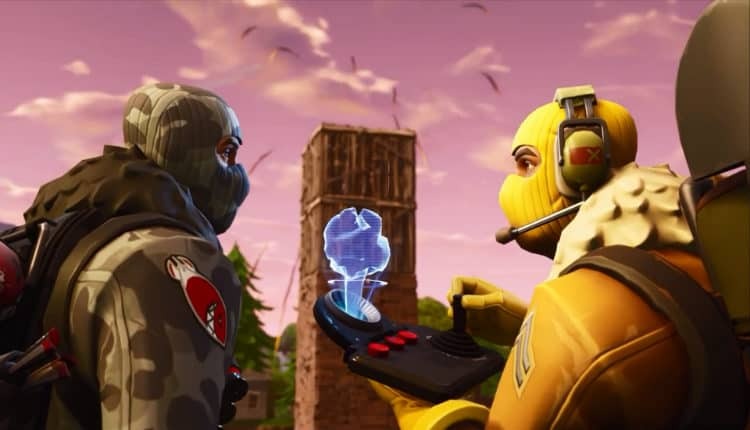 Even developer Epic Games has publicly stated they would like to see cross-platform harmony between these two rivals. I highly recommend you read this brilliant article on Glixel and you’ll see what Epic CEO Tom Sweeney has to say about the future of gaming and his stance on crossplatform play. The factors perpetuating this crossplay issue are not secrets, but rather simple economics. In fact, both Microsoft and Sony have the same overarching philosophy when it comes to crossplatform play; They both do not want it. The reason is pretty straight forward and comes down to each company’s bottom line. Both platforms maintain the stance that if you want to play with your friend or family member on a different platform, well then buy that platform! If you are so passionate about being able to play online games with your friend who owns an Xbox One and you have a PS4, well cough up the cash and get an Xbox! Same goes for the other side. They don’t want to risk revenue loss by allowing for cross platform play. If Microsoft and Sony allow for their users to crossplay with this game, when the next major title comes along users are going to demand the same thing. And then, inevitably, one side will slowly start to dominate the market. To use another Cold War reference, crossplay to Microsoft and Sony is the same as Mutually Assured Destruction (MAD) — it could signal the beginning of the end for their consoles or the ascension of one. But is this a fair argument? That the companies themselves will actually lose revenue? I really don’t know, and perhaps we never will. As long as both sides remain obstinate about crossplay, we won’t know if it will have disastrous economic outcomes for one party or the other. In fact, it could have potentially positive unforeseen outcomes. I like to be hopeful like Tom Sweeney. The more connected we are with our friends, the more likely we are going to buy and play games. As the generation that grew up playing video games gets older and moves away from home, they can stay connected to their hometown friends with video games, taking part in the same tradition that took place in your best friend’s living room — except now miles away and connected through fiberoptics. So, it is clear this ‘Console Cold War’ is not due to in-game competition and fairness or hardware issues, but a struggle between the executive boardrooms of Sony and Microsoft. It appears that both organizations believe that if you want to play video games with your friends, buy them the same console! Opening up crossplay between these two gaming platform titans might cause revenue to fall, ultimately resulting in one platform dominating the gaming market over the other, and neither side wants this to happen, hence the freeze on cross-platform gaming. But, it also might mutually benefit both companies in the long run, and that’s what these companies are failing to see. Humans are social animals; we yearn to be connected with one another, and as transportation technologies take us farther and farther away from each other, gaming can keep us together. If Microsoft and Sony recognize this, than the future of online gaming looks pretty sweet. What do you think? Are you eager to play with your friends who own different consoles? Do you think more games should allow for cross-play? Will it ruin the balance of power or create a new world order of how we game online? Let me know in the comments below.